Don’t abandon your kids in creepy asylums, mansions, or towns, people. Honestly, it’s like nobody played Silent Hill – it just doesn’t go well. 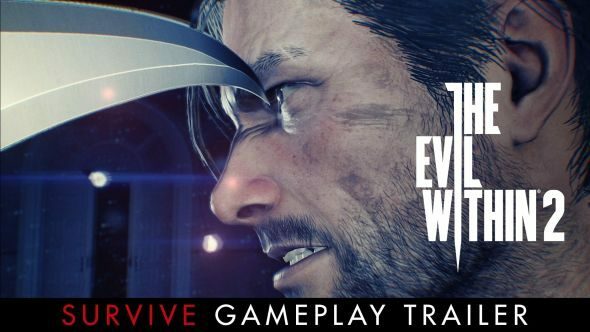 That’s what The Evil Within 2’s Sebastian is learning in the latest gameplay trailer, which you can see above. For more of the best-looking upcoming PC games, see our dedicated article. There are a number of especially suspicious grizzlies here. The basic zombie-ish enemies look to come in various face-tentacle flavours. I’m not a fan. Blood Corridor doesn’t seem to have a direct antagonist that isn’t bursting through the walls, but I doubt it’s safe to pass through, either. The weird head-on-tentacle thing towards the end looks a little more bosslike, while the guy who is mostly holes, who comes bursting through the door, has a circular saw for an arm. It’s a hard life being a videogame monster. Finally there’s knife dude who provides our rather horrifying teaser image – I’m guessing main antagonist? Looks like a riot either way. We’ll find out more in October.